If it's Mayan culture, soaring mountains, a captivating local culture, or welcoming people you're interested in for your travel, Guatemala and Belize are excellent destinations. This custom itinerary includes a nice mix of cultural and active experiences and exploration of Antigua, Peten, Lake Atitlan, San Ignacio, San Pedro and more! Welcome to Guatemala! At the airport, our representative will meet you for your transfer to your hotel in Antigua. After breakfast, your guide and driver will meet you at the lobby of your hotel to explore Pacaya Volcano. The hike to the summit takes around 2.5hrs. After the trek, your driver will transfer you back to your hotel in Antigua. 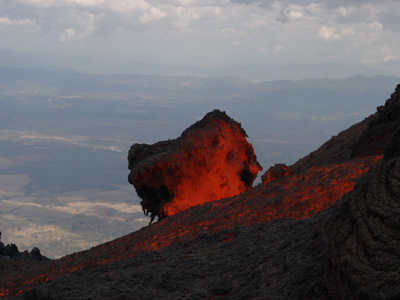 Pacaya volcano is one of the most active volcanoes in the region. With 2,500 mt above the sea level, Pacaya is one of the youngest volcanoes with beautiful views toward the valleys and three other volcanoes (Agua, Acatenango and Fuego). Hike along a trails of humid forest and beautiful views to reach the summit. After breakfast your driver will take you to the biking start point. Of a total 30 kms aprox. only 3 kms of this ride will be steep, this will be the track from San Antonio Aguas Calientes to Ciudad Vieja. The rest of the circuit is flat. 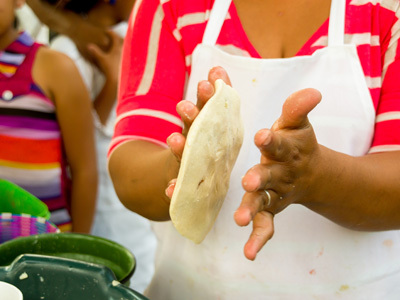 Lunch will be held at a local house in Zamora where you will get to meet the local people and learn a bit more about their customs and traditions. 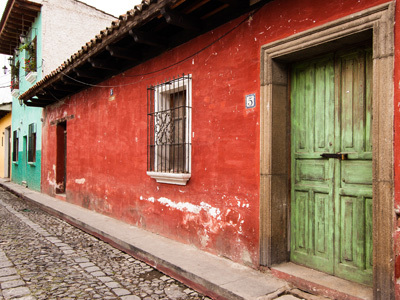 Afterward, your driver will take you to meet your guide and show you the secrets and architecture of this beautiful colonial town. Today, at the time of your choosing, you will be met by your driver and transferred to Lake Atitlan and your overnight accommodations. With three stunning volcanoes rising out of its emerald surface, Lake Atitlán is for sure the best way to be introduced to the indigenous culture in the highlands of Guatemala. Located 144km west of Guatemala City this lake is characterized by its natural beauty and surrounded by gorgeous views and indigenous villages filled with culture. The famous writer Aldous Huxley considered it ¨the most beautiful lake in the world¨. Today's adventure takes you high into the mountains on a very strenuous through maize fields, coffee fields, old growth forest, and into the cloud forest. After breakfast, your guide will take you by boat to Santa Cruz to start your 3-4 -hour hike, taking you 2500 feet above the waters of Atitlan for breath taking views and pristine scenery. Visit a sacred Mayan site. Enjoy a picnic lunch along the way, or in a local comidor. 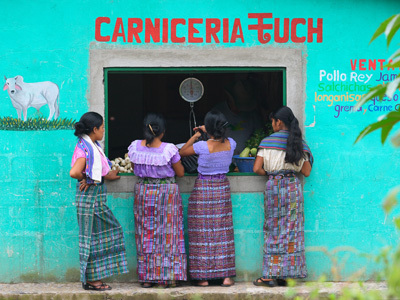 Then you will visit the second largest market in Guatemala. After breakfast, your guide will meet you at the lobby and take you to Santa Cruz. You will paddle by kayak for 1 ½ -2 hours along the shores of Santa Cruz la Laguna, El Jaibalito, and Tzununa, ending in San Marcos. 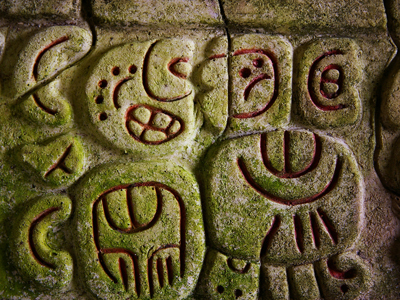 You will then hike along ancient paths that have been used by the Maya for centuries. You will see villagers going about their daily life, encounter farmers tending their maize and coffee fields and fishing from their kayaks. 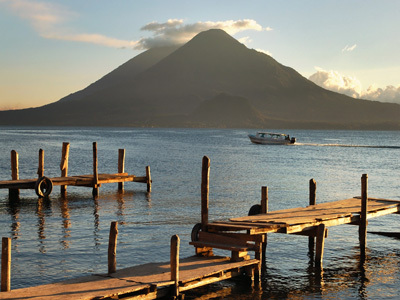 This rugged and remote section of Lake Atitlan has barely been touched by the outside world. 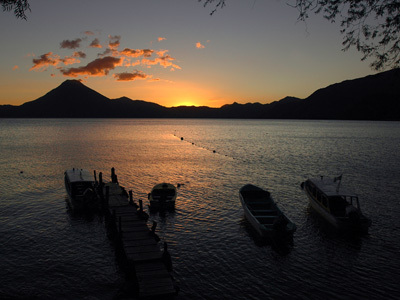 After breakfast enjoy the day to rest or discover more of Atitlan. When you are ready, your driver will take you to the city for your afternoon flight to Flores. Upon arrival to Mundo Maya airport, our representative will transfer you to your hotel. Enjoy the morning at your leisure until your guide meets you again for the Yaxhá sunset tour, enjoy a beautiful sunset on top of a pyramid. After the tour, your guide will transfer you back to your hotel. 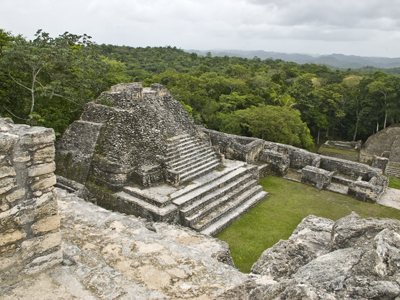 Yaxhá is an archaeological site and ancient ceremonial center of Mayan civilization situated in the northeast of Peten. This site is a mixture of archaeology, beautiful landscapes and ecological tourism. With more than 500 structures in the site, including 40 stelea, 13 altars and 9 pyramids this site is a must when visiting the area. After breakfast your tour guide will meet you at the lobby of your hotel and transfer you to Tikal National Park. Your guide will show you the layout of the temples, architecture, history, some theories of why they disappeared and if you are lucky a few monkeys, parrots, macaws and toucans will be on site. After the tour enjoy lunch at a restaurant in the middle of the jungle on site. Please note that this is a shared group tour. After lunch a private transfer will take you to your accommodations in San Ignacio. Transfer time is about 2.5 hours. On arrival, check in and enjoy the remainder of the day free. City and ceremonial center of the ancient Maya civilization. Tikal became an important ceremonial center with the construction of major pyramids and temples. Its best years were the Late Classic Period (600-900AD). 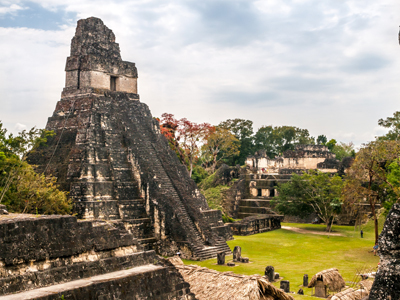 Tikal National Park contains some of the most fascinating archaeological remains of the ancient Maya Civilization. Excavated by Pennsylvania University between 1956 and 1969, Tikal is the largest excavated site in the American continent. It is Guatemala´s most famous cultural and natural preserve. Today, you will be able to explore the destination on your own, you can also enjoy activities on offer at your hotel. After breakfast, your driver will transfer you to Belize City for you to take your water to San Pedro. Upon arrival, your driver will take you to your hotel for overnight. 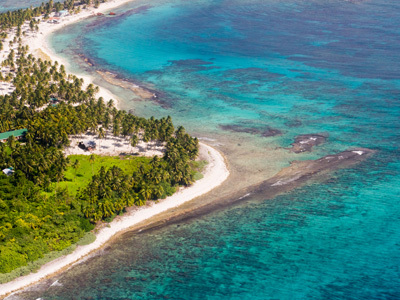 San Pedro is a bustling beach town located on the southern part of Ambergris Caye island. The island measures 25 miles long and 5 miles across at its widest point, creating a long and thin slice of land that is ideal for the most beach side access. The picturesque town boasts clear turquoise waters, soaring coconut palms and a laid back quality. The perfect base to explore the Belize Barrier Reef, this area affords plenty of opportunity to discover the wonders of the underwater world. This morning you will be transferred to the Hol Chan Reserve for an amazing snorkeling tour! 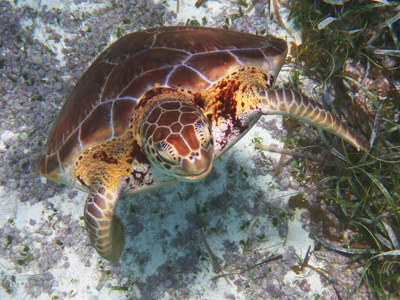 The southern tip of Ambergris Caye is the Hol Chan Marine Reserve. Hol Chan is Mayan for 'little channel." This sanctuary was officially established in 1987, and since then the return of all species of fish has been quite dramatic. Hol Chan Marine Reserve and Shark Ray Alley are approximately 4 miles (6.4 km) south of San Pedro Ambergris Caye. It is the single most popular day trip from San Pedro, perfect for snorkeling or diving. Enjoy endless sights of jacks, tarpon, snook, and manta rays, just to name a few of the over 160 different species of fish identified at Hol Chan. This morning you will be picked up at your hotel and transferred to the airport in good time to board your domestic flight to Belize City and your connecting flight home. 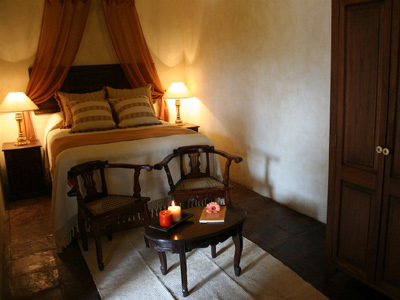 Hotel Los Pasos contains years of rich history and is a property that has been carefully reconstructed. This beautiful hotel, houses centuries of stories over time with its thick walls and traditional amenities, since the time of the Spanish colony. This gives the property a special character and charm. There are 20 beautiful rooms, which are classified according to their design and size. 3 Master Suites, 8 Junior Suites and 9 Standard Rooms, each of which is decorated in a distinctive manner taking care of every single detail to provide convenience and comfort, without losing the traditional style of Antigua Guatemala. 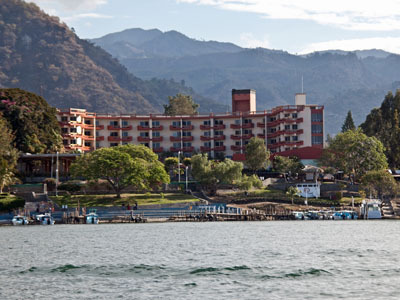 Rising above the deep green and shimmering blue waters of Lago de Atitlán, and surrounded by lush hills, beautiful towns and three majestic volcanoes our lakefront hotel offers boundless opportunities for adventure, relaxation and exploration. Head to one of our 100 guest rooms or suites and immediately embark on an unforgettable journey of the senses. The uninterrupted lake and volcano views are simply breathtaking. The custom-made bath products are soothing and relaxing. Comfortable beds are always ready to embrace you after a busy day spent in meetings or exploring nearby attractions. All these essential in-room amenities and more come together to provide a refined expression of Panajachel’s cultural diversity. Just 15 minutes away from Santa Elena International Airport and 45 minutes from Tikal National Park, the hotel is located in a vast natural private reserve, and the shores of Petenchel and Monifata lagoons, where a wide variety of birds inhabit, as well as unique flowers and trees. Hotel Rooms at Villa Maya are arranged in 10 bungalows of 2 or 3 floors each, with 2 rooms per story and 10 individual bungalows; all rooms are reachable by paths and surrounded by beautiful gardens, tropical jungle & overwhelming views of the lagoons. Black Rock Lodge is surrounded by stunning rainforest and offers abundant opportunities for exploration and adventure. The Lodge is passionate about their commitment to environmental stewardship and sustainable operations, which will be evident in every aspect of your stay. The scenic property features 20 cabins, which each boast stunning views of Black Rock Canyon, the Macal River and the surrounding rainforest and wildlife. An inviting hammock is provided to soak up this spectacular setting to it's fullest in total relaxation. The cabins are airy one-room structures, built to take advantage of the fresh mountain breezes. 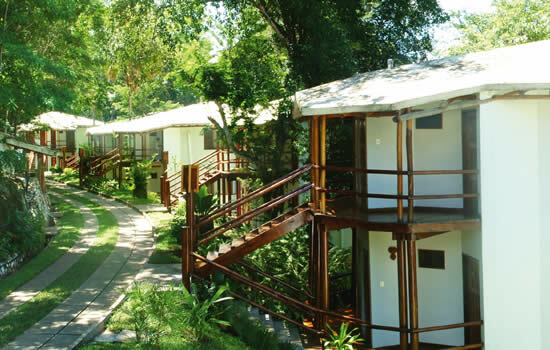 All cabins have en-suite bathrooms and closet areas. Simply decorated, the cabins display artwork created by local artisans and craftspeople. 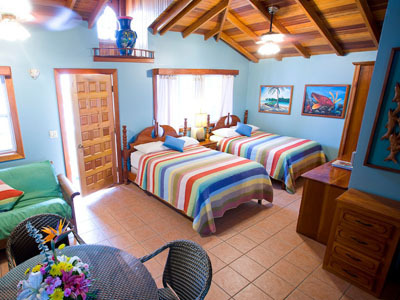 The Blue Tang Inn is situated just steps from the stunningly beautiful Caribbean ocean. The first and second floor suites are standard suites and the third floor suites are deluxe with beautiful Belizean hardwood floors, vaulted ceilings, and a Jacuzzi bathtub. 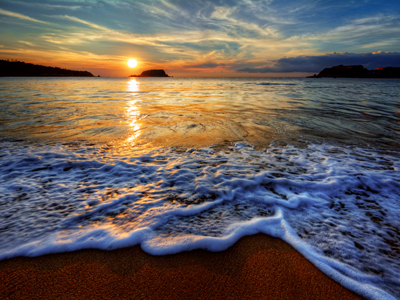 The Blue Tang Inn staff grew up on our beautiful island and we know its spectacular secrets. We’ll help you plan your adventure, and all you have to do is ask! Picture yourself in a spacious room with the blue Caribbean at your doorstep – you’re at the Blue Tang Inn. This is just one of many authentic travel experiences offered by Global Basecamps. 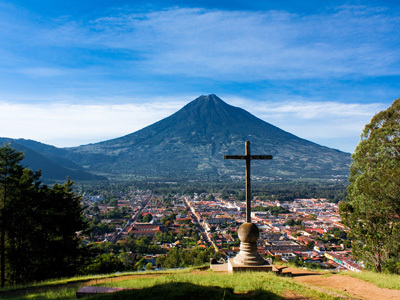 If you are interested in more unique destinations to Guatemala with unprecedented planning and extraordinary service visit our main Guatemala tours page to browse other sample trips.